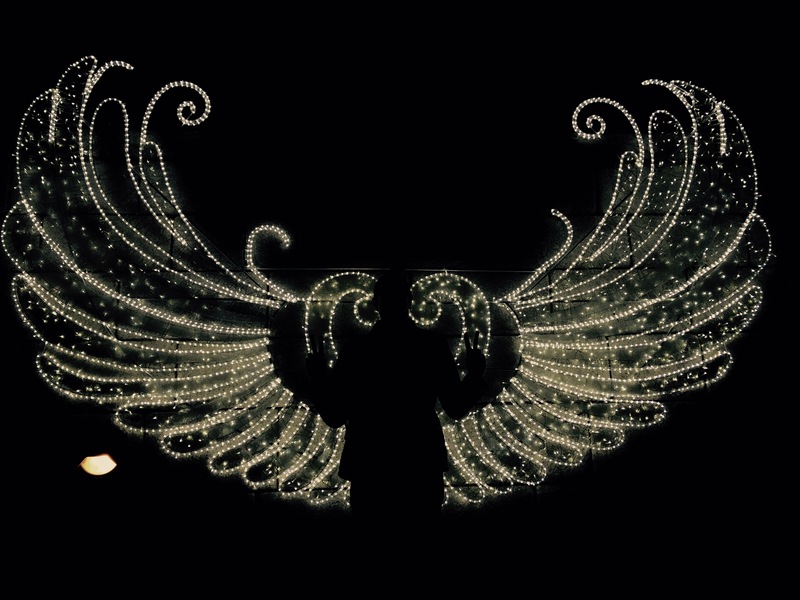 Shine Bright like a Christmas Light! Being far away from friends and family while living in a foreign country at Christmas time can make you a bit homesick. However, I know one thing that I always loved doing at home, checking out the Christmas light displays! Whether you live in suburbia and drive around from neighborhood to neighborhood, or you live in a big city that has Christmas lights everywhere, this is one of the best parts of the season. 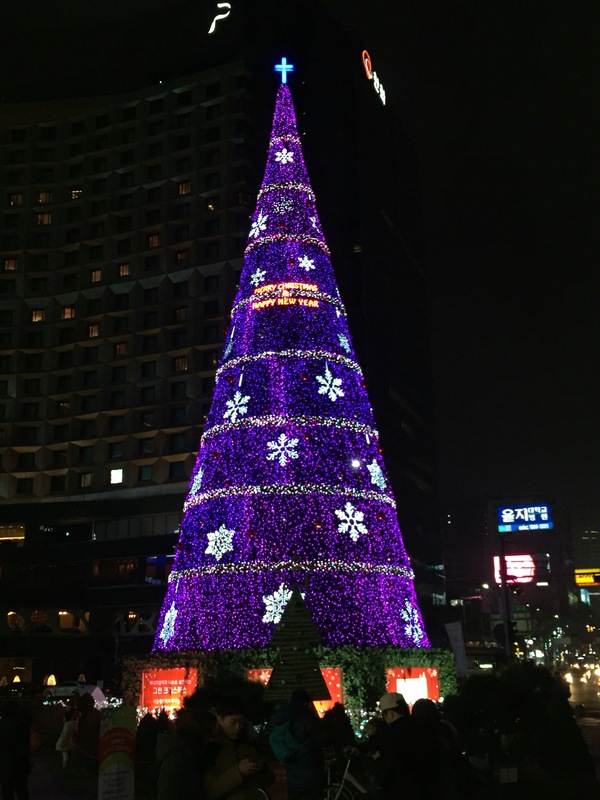 Well Seoul is surprisingly no different, they have a nice light display set up from Seoul Plaza in City Hall going all the way down to Jonggak. It’s a nice walk, and fun to do with that special someone or your whole family. 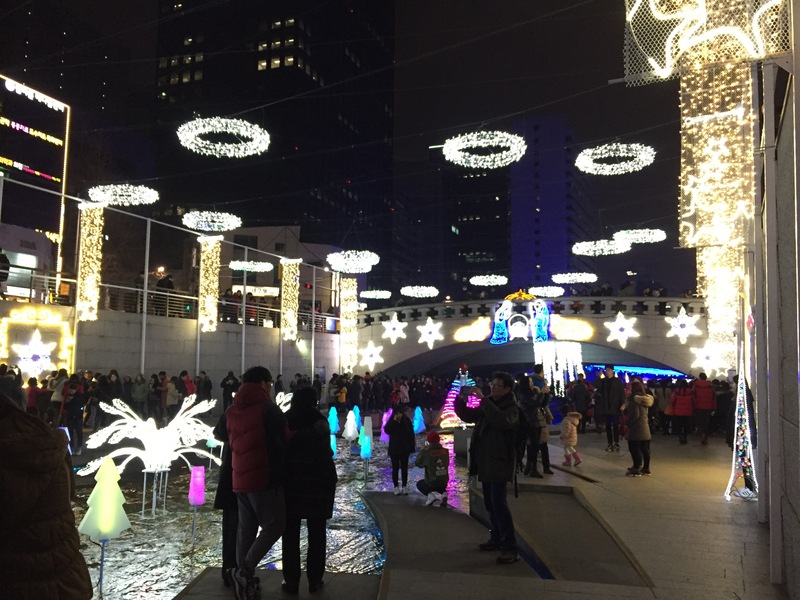 To start your Christmas light adventure, Take line 1 or 2 to City Hall and then take exit 5 (Seoul Plaza). Right outside the exit you will see the big Christmas Tree and the Skating Rink. 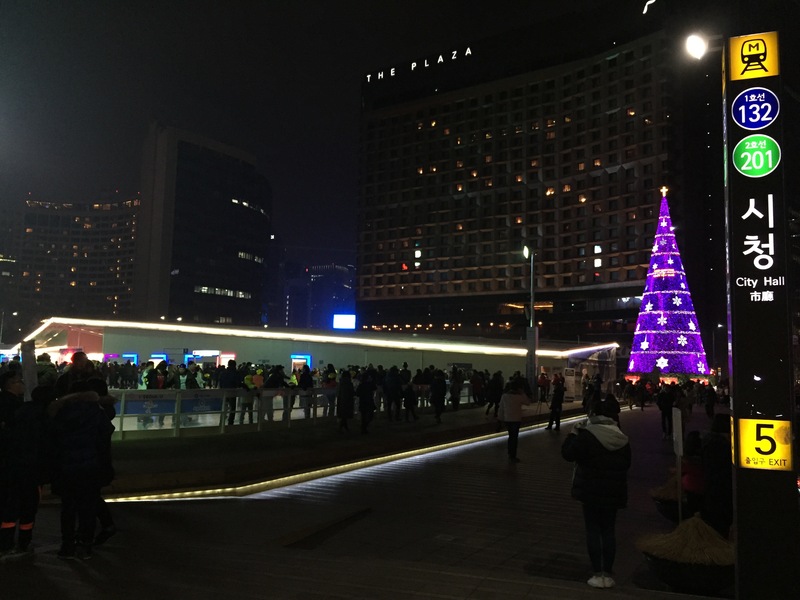 After you are done walking around Seoul Plaza or taking a spin on the ice, follow the street signs for Cheonggyecheon Plaza. 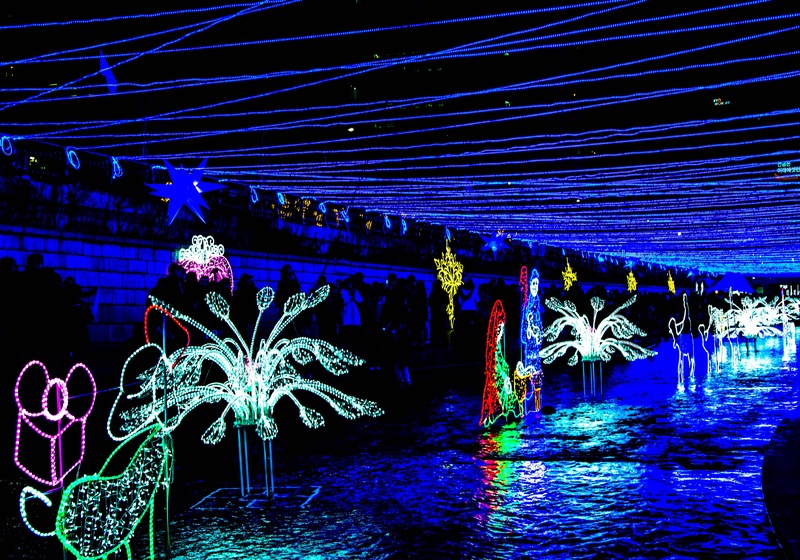 There you will be able to see many Christmas lights displayed along the stream. 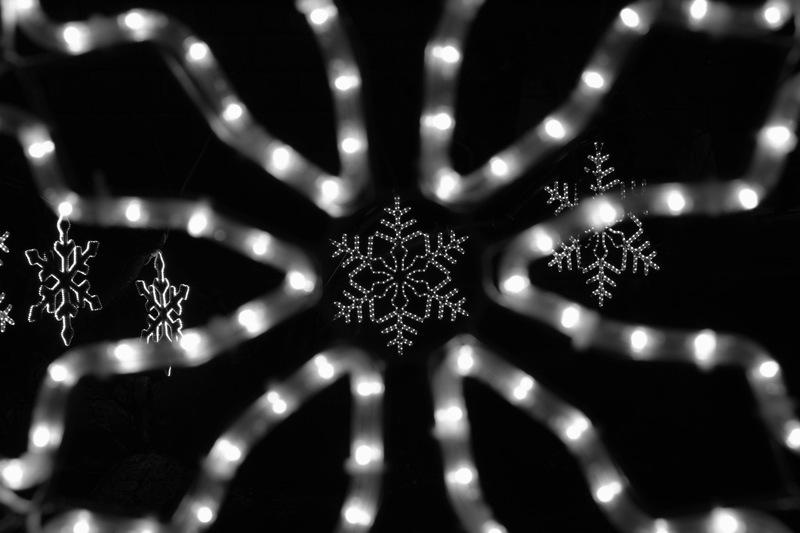 This year the lights show goes from December 15 – January 10. 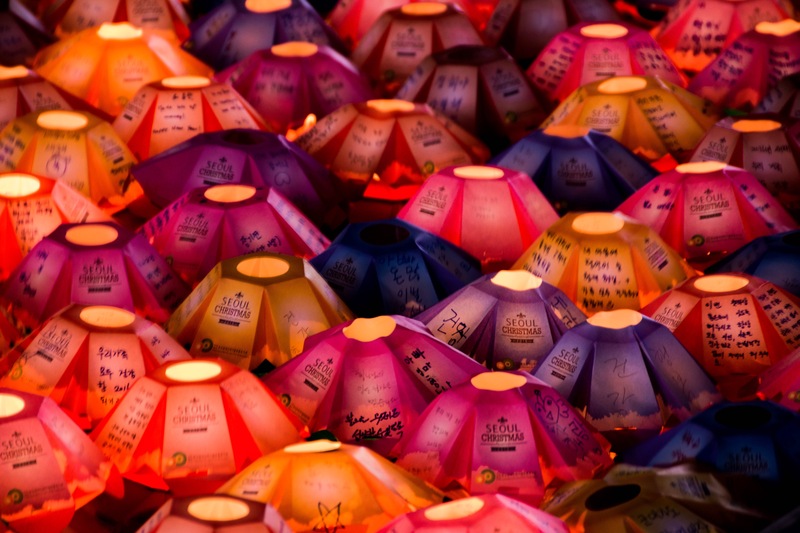 The light display ends at Jonggak, which is a great place to get some dinner or some drinks to warm up! 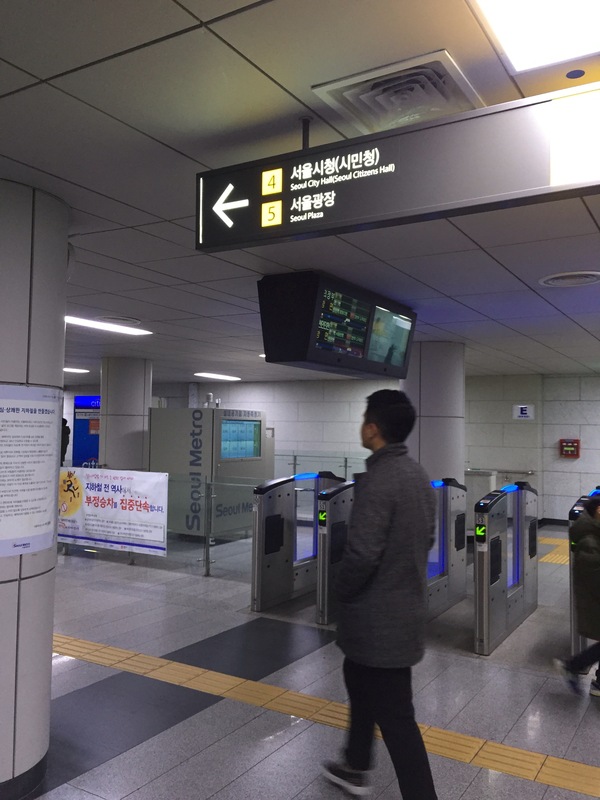 Then you can conveniently hop on line 1 and head off to your next adventure. We really enjoyed our stroll around town and it’s a great way to get into the Holiday spirit.